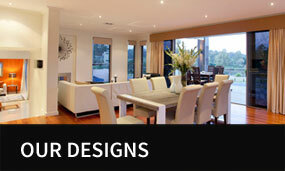 There is a reason that Amyron Homes is considered one of Brisbane's premier home builders: professionalism. At Amyron Homes, our team of dedicated design and construction specialists works hard to turn your dream house into a reality. We provide custom plans that are designed to fit your individual circumstances and your desire for the perfect environment for your family. As one of the most trusted Brisbane house builders, we construct and renovate homes with unparalleled quality and timeless beauty. 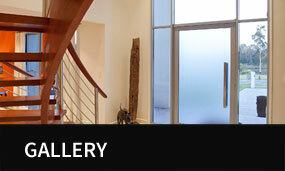 Each home we build reflects our careful attention to design, value and quality of materials, both inside and out. At Amyron Homes, you will find a diverse array of exceptional interiors and exteriors in the finest residential communities in Brisbane and Queensland. Our company has a true passion for home building and remodelling, and our team is experienced in every aspect of house construction. We are known both for our expertise and our integrity as exemplary Brisbane home builders, and for our dedication to extraordinary personalized service to our clients. We understand the importance of providing accurate building estimates, pristine job sites and impeccable results so our clients can experience a smooth and positive home building experience. From project beginning to end, we work diligently to deliver the best quality construction, functional and beautiful design and complete client satisfaction. We believe that your dream home should be a place where your family loves to live, and design each house we build with your individual needs in mind. With Amyron Homes, you have the choice to build on your own lot or select from one of our Land and home Packages located in Banksia Beach. Amyron Homes is a fully accredited HIA Greensmart Professional, utilizing eco-friendly building practices and sustainable materials to provide an unsurpassed experience for green living. We are committed to the most advanced and energy efficient green building practices for custom homes, home improvement or remodelling projects throughout Queensland. At Amyron Homes, we are defined by our commitment to quality, style, personal attention and building green for a sustainable future. Whether you prefer a traditional or contemporary style house, we have the knowledge and expertise to customize your home utilizing energy efficient green building practices. Our step-by-step process, open style of communication, and regular interaction during the planning and building process will give you peace of mind and ensure that your dream green home becomes a reality. and experience have proved invaluable..."